Your Local Bakery in Eau Claire, WI | Great Harvest Bread Co. Gift ideas to fit every need. Whether it is one gift basket or a hundred gift bags for your employees, everyone loves hand made, baked goodies. All pumpkin all the time! 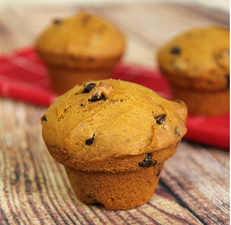 Come by for a scrumptious Pumpkin Spice muffin or tea cake! This delicious, addicting treat is a seasonal smash hit! You'll be hooked from the first bite, TRUST me.